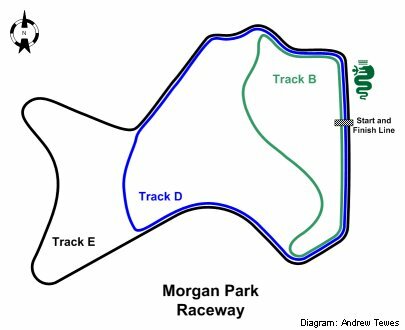 The diagram below indicates the different circuit track configurations used at Morgan Park. 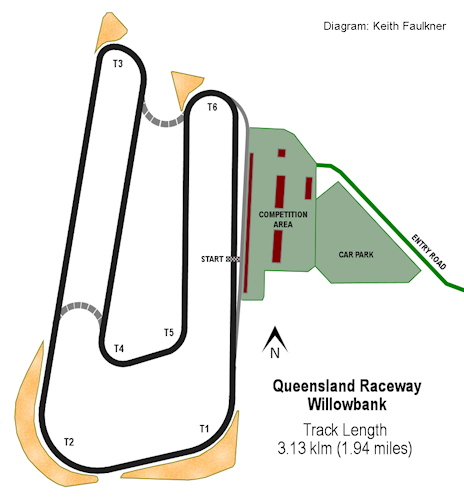 The diagram below indicates the circuit used at Queensland Raceway. 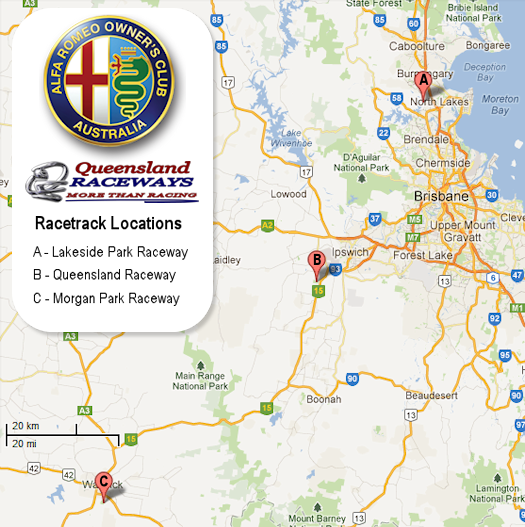 The diagram below indicates the circuit used at lakeside Park Raceway.